It is impossible to win at horse racing, or any other type of gambling, if you do not have a sound money management plan. 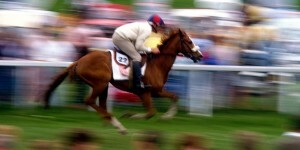 The question is, what constitutes a sound money management plan when it comes to horse racing? The answer: Optimal Betting. L = percentage of horses that do not win the race. $ odds = the average win payout based on $1. To determine this, take your average win mutual, subtract $2, then divide by 2. Note: If you do not know both your win % and average win mutuel, then you should start keeping track immediately. Optimal Betting theory would hold that a horseplayer should bet 3-4% of his/her bankroll on each wager. With Optimal Betting, it is imperative that you always know your edge. The size of your bankroll depends largely upon the amount that you are comfortable betting on the races. 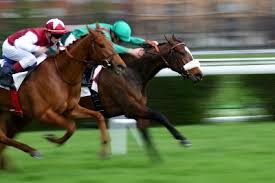 Many wagering systems, theories and guidelines are built around an assumed bankroll of $2,000.00. If you are using a bankroll of $2,000.00 and plan to bet 2% of your bankroll per race, you will be limited to $20.00 wagers. Your standard wager size is also commonly referred to as a “unit.” A much more conservative estimate of how large a bankroll should be is to use to take your average win mutuel, expressed in odds to 1, and multiply if by your standard betting unit, then multiply that amount by 100. Limiting your wagering to situations where you have both value and price is an important winning factor that many otherwise good handicappers often overlook. Contrary to popular belief, being a winning horseplayer is not about picking a high percentage of winners. Rather, it is about finding good betting opportunities based on value and price. So exactly what are value and price? The terms are usually used interchangeably, but it should be clearly stated that value and price are not the same thing. Simply put, price is your reward for taking a risk. The greater your risk, the greater your price should be. We, however, are greedy and always insist on price even when our perceived risk is not that great. The minimum price I always want is 5-1 odds. I actually want better than that, but will settle for 5-1 if I really like a horse. Even on the slowest of racing days, there are many, many horse races run in North America. On prime racing days, there are literally hundreds of races run. Each race represents a betting opportunity. These opportunities, however, are not created equal. 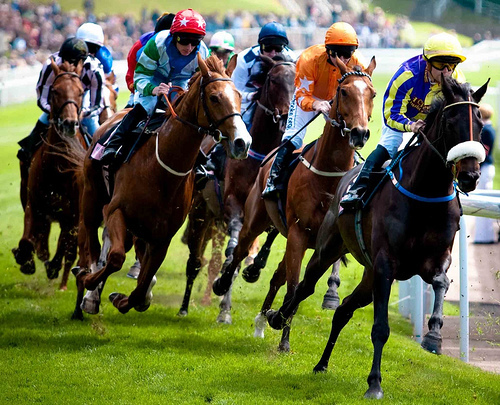 Believe it or not – please believe it – most horse races are poor wagering opportunities. Successful horseplayers wait for good betting opportunities, then pound the hell out of them. These days, most of the people who go to the track to watch live races are either (a) losing players, or (2) are “old school” folks who don’t have an Internet connection. Why are most of the players who go to the track losers? They are losers because they are there for the social aspect of racing and are prone to betting every race on the card, and betting it poorly at that. I am generalizing here and understand that there are always exceptions. Here is a winning factor that you don’t really see discussed. A common axiom among horseplayers is that there are many different ways to win at racing. Some handicappers use a speed-based method, others use pace, while others still use esoteric ratings of their own creation. Each handicapping methodology, and there are lots of them, has its own advantages and disadvantages. The important thing is that a horseplayer master whatever method they use. Too many horseplayers decide to purchase a handicapping book or buy handicapping software, then quickly discard it when it fails to be a Black Box. Handicapping, no matter what method you use, involves a lot of reading between the lines. If you don’t have a handicapping plan, you’re going to be a loser. All successful gamblers, whether they are card players, card counters, sports bettors, craps players or horseplayers, have a plan. In order to have a plan, you must first determine what kind of horseplayer you are. Are you conservative? If so, you need to be willing to grind out a profit playing straight bets (win, place, show) and exactas. Conservative players try to hit a high percentage of winners at overlaid prices. They don’t go overboard going for large exotics scores. Record keeping may very well be the most important aspect of winning at horse racing. After all, how do you even know whether or not you are winning or losing if you don’t keep records? 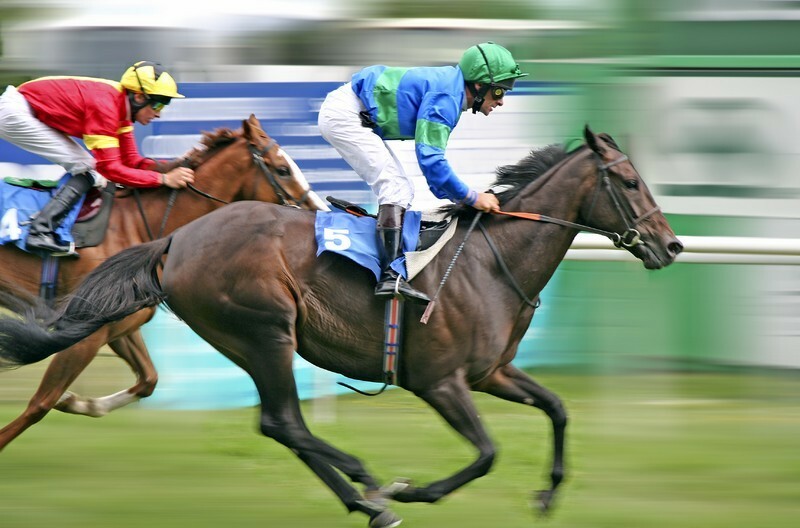 Keeping records of your horse racing bets does more for you than just telling you if you are ahead or behind. It also helps to show your strengths and weaknesses as a handicapper. Perhaps you are awesome at picking winners in juvenile (2 year old) maiden races, but terrible at graded stakes races for older horses. What if you didn’t know this? What if you thought the opposite were true? Record keeping will tell you how well you are doing at handicapping races, betting them, and where your strengths and weaknesses lay. In short, record keeping is truth. Winners keep records while losers remain in denial. Even without the veteran swingman, they should have more than enough Tuesday night to handle the woeful New York Knicks, whom they already defeated this season despite being very short-handed. San Antonio went 5-1 on a recent homestand, which culminated with Sunday’s 123-97 blowout of the Minnesota Timberwolves. Kawhi Leonard led eight players in double figures with 15 points, while Danny Green and Marco Belinelli scored 13 points apiece. San Antonio wound up with a season-high 38 assists on 49 baskets and made 58.3 percent for the game. Tiago Splitter (12), Tony Parker (11), Ginobili (11), Tim Duncan (10) and Cory Joseph (10) rounded out the double-digit scorers for the Spurs, who rebounded from an overtime loss versus Cleveland to win for the seventh time in the past eight tries. New York (13-53), however, owns the league’s worst record and has lost 15 of 18, averaging 91.2 points on 40.8 percent shooting in that span. The Knicks need to win half of their final 16 games to avoid finishing with the fewest victories in franchise history, set by the 1962-63 team that went 21-59. The Knicks dropped a 102-89 decision against the Phoenix Suns on Sunday and were led by Alexey Shved and Andrea Bargnani. Both foreign players scored 18 points and Lance Thomas added 144 for the Knicks, who shot a respectable 43.8 percent and committed 13 turnovers. The Knicks visited San Antonio on Dec. 10 and left with a 109-95 defeat, as Belinelli paced the hosts with 22 points. 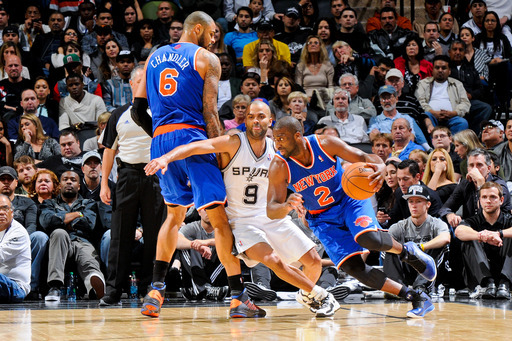 Hardaway had 23 points in that one for New York, which is 6-16 in the past 22 games in this series. 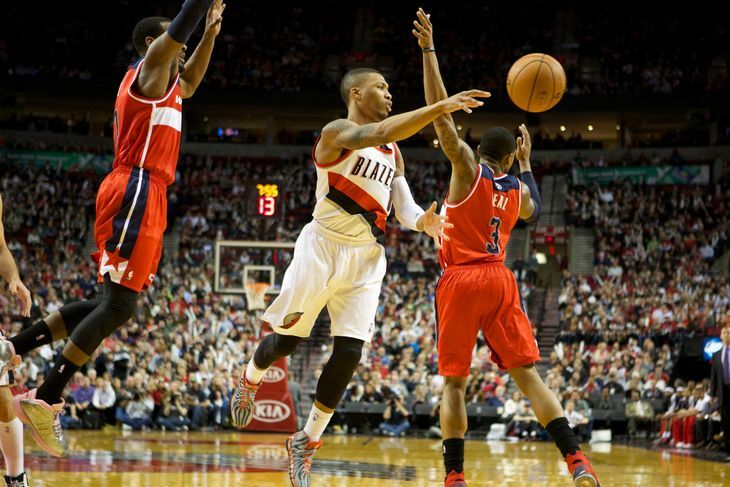 The Blazers head to Washington D.C. tonight to take on the Wizards in the second half of a road back-to-back. Portland dispatched the Raptors last night, 113-97. The Trail Blazers will visit the Wizards in what should be a fun matchup between two of the more exciting teams in the NBA. Portland is currently in third in the Western Conference and playing some of its best ball of the season, winning eight of its last 10. Washington is reeling a little bit winning just five of its last 10. Both of these teams are expected playoff teams, so fans should be in for a hard-fought game. Portland is playing the second of a five-game road trip. It is coming off of two of its best performances of the season, shooting 55 percent from the field and 49 percent from 3-point range while averaging 115.5 PPG. Games like this are making Portland look like a championship contender. It has won three straight since losing Wesley Matthews for the season and will look to make it four against the Wizards. Washington has struggled as of late after a hot start to the season. Beal is finally back healthy, and Washington is looking to catch stride the last quarter of the season and grab home-court advantage in the first round of the playoffs. Although the Wizards have been playing poorly, they did win their last three by an average of almost 21 PPG. This is the last game of their homestand before a four-game Western Conference road trip, so they’ll want to get some momentum in front of their fans vs. Portland. 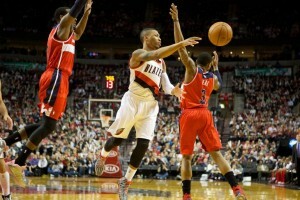 Portland defeated Washington, 103-96, on Jan. 24 in Rip City and was led by Aldridge’s 26 points and nine rebounds. Wall recorded 25 points in that one for the Wizards, who have lost two in a row in this series after winning three straight. Washington is 4-1 in the last five meetings with Portland in DC. 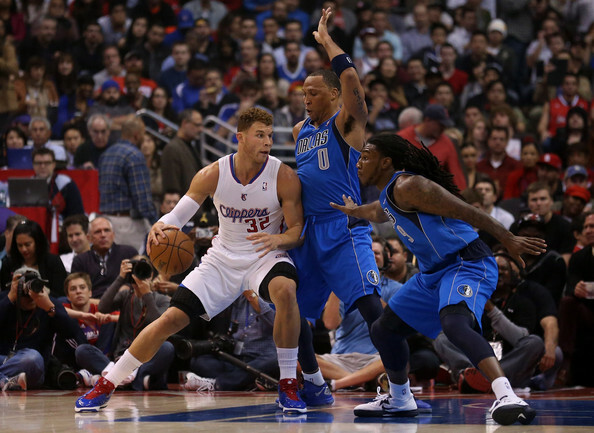 The Dallas Mavericks play host to the Los Angeles Clippers tonight at the American Airlines Center. After losing in disappointing fashion to begin their five-game homestand, the Dallas Mavericks admittedly need to make adjustments on the court in order to get back to playing at a high level. Chandler Parsons returned to the court and led the way with 18 points, Monta Ellis had 17 while Amar’e Stoudemire added 15, but the Mavs were just horrible on defense. On too many possessions, the Cavaliers were able to swing the ball and find the open shooter uncontested on the perimeter and it really burned the Mavs as the Cavs sunk 15 of 32 threes. After the loss, Stoudemire publicly called out his teammates about their lack of effort, so expect an improved level of intensity tonight. The Los Angeles Clippers have won five of their last seven overall and they’ll be looking for a third straight win after earning a marquee 120-108 win over the Thunder on Wednesday. Chris Paul had a monster game of 33 points and nine assists while playing great defense on Russell Westbrook, while JJ Redick added 25 points and Matt Barnes had 22 as the Clippers dominated the red-hot Thunder in their own building. As a team, the Clippers got off to a sensational start and poured on 100 points after three quarters thanks to 15 of 30 shooting from the three-point line, but the best part was that they were able to stifle the Thunder’s Westbrook, forcing him into 10 turnovers. With the win, LA improved to 42-23 on the season and 18-14 on the road which keeps them climbing up the Western standings. The Clippers, who have won eight of 10 in the series, haven’t swept the Mavericks since taking all four meetings in 1993-94. They won 120-100 in Los Angeles on Jan. 10 and 115-98 on the road on Feb. 9. 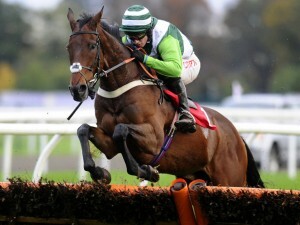 Dodging Bullets clinched glory in the Betway Queen Mother Champion Chase at Cheltenham for trainer Paul Nicholls. Winner of the Tingle Creek at Sandown and the Clarence House Chase at Ascot already this season, the seven-year-old was third in the betting at 9-2 for the two-mile championship behind former winners Sprinter Sacre and Sire De Grugy. The 9-2 chance won by one and a quarter lengths from Somersby (33-1) with Special Tiara (18-1) third. Last year’s winner Sire De Grugy finished fourth while the 2013 victor Sprinter Sacre – in his second run in 15 months after a heart scare – was pulled up. Defending champion Sire De Grugy was under the pump a long way from home, while Sprinter Sacre, so brilliant in this race two years ago, did not jump well and appeared a shadow of his former self after stopping quickly from the home turn and being pulled up. Twiston-Davies said: “What a horse, Harry Derham and the team have done a great job – Harry rides him all the time and wouldn’t let Frankie Dettori ride him at home when he came down the other day.. Victory gave Twiston-Davies and eight-time champion trainer Nicholls a double after Aux Ptit Soins won the previous race, the Coral Cup. The Champion Chase, in which Champagne Fever was a morning withdrawal, was billed as a battle of the champions. Online casino games are a fantastic invention: they allow you to play anywhere, anytime, for as long or as short a time as you want to, with no added expenses or noisy casino crowds. Make sure that you pick a legitimate online casino to play in. 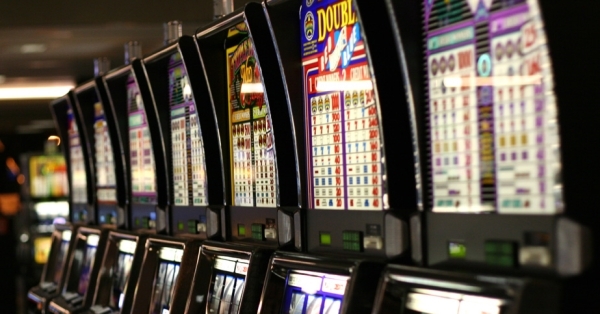 A legitimate casino is one that has fair games that offer a fair chance to win, and it is one that pays out your winnings promptly when you do win the casino games. So pick an Internet casino that is well-established and has a good reputation. Many online casino sites want to give you things for free. They will offer you welcome packages, casino bonuses, promotions, and gifts. It’s not a trick; they’re simply competing for your business. So don’t be shy. Take advantage of their offers and enjoy what they give you. Deep down inside, you know you deserve it. Before you start wagering real money in an online casino, research the various online banking methods and make sure that you use a reliable one. This is very important. Various payment options include credit cards, debit cards, online payments, pre-pay cards, and money transfers. First of all, decide what type of game you want to play. There are dozens and dozens of online casino games, and they all have their own rules and their own odds and their own casino game strategies. Don’t get bogged down or overwhelmed. 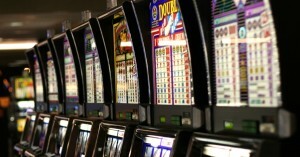 Simply pick one casino game to focus on and learn how to play that one game. Whether it’s online slots or online roulette or online video poker or anything else, pick one game and make it your game. When you start out, read everything you can get your hands on about your chosen game. Look at the odds tables, read books, read material on the Internet, ask your friends for advice about the game. Knowledge is power. The more you know, the more relaxed and confident you’ll feel. And the more relaxed and confident you feel, the better your odds of winning online casino games. When you’re gambling real money, of course it’s a lot more fun to win, but you must also be prepared to lose. It is important to think about your bankroll before you jump into real-money online gambling. How much money do you have to wager? How long do you hope to make your money last? How much are you willing to lose? When will you get up from the game, even if you are winning? These are very important questions to answer for yourself before you begin playing. And don’t forget to enjoy!!! !